One of the most important aspects of being a PR professional is having an open and clear line of communication with clients. It’s important to effectively communicate the success of our work and make sure that expectations are set accordingly. Occasionally, a client will express to members of my firm that a PR campaign isn’t working because it isn’t driving certain metrics in Google Analytics, an all too common misunderstanding about PR’s purpose and how it can help a company build a valuable and successful brand. I’m sure other agency professionals have heard it too. 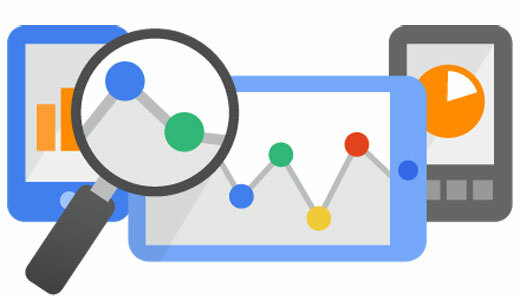 Google Analytics and other solutions available to measure and understand web traffic are undoubtedly powerful tools that can provide key insights to any marketer. The information Google Analytics provides helps businesses understand where traffic is coming from, and if media campaigns are performing well and providing ROI. However, there are things that these kinds of analytics platforms simply can’t measure. The effectiveness of a media outreach campaign falls squarely in this category. Why is this the case? Mostly because it misrepresents the work of PR agencies and professionals. PR achieves many goals; traffic/leads are important ones, but not the primary focus. At the end of the day, PR is not about traffic. It’s about building your brand awareness and visibility in the right circles. Take, for example, an article about emerging startups and brands. While the article will lead to increased traffic to your site, the more important element here is not the number of visits, but the type and quality of traffic it will bring to the brand. If the site where your article is published is read by key influencers, entrepreneurs and investors across multiple industries, any business development or investment opportunity that comes as a result of the article will be invaluable for a company’s future – yet not measured by Google Analytics. PR is effective for the same reason that you trust a friend’s recommendation more than a commercial. It works because it’s earned, rather than bought. One cannot pay a journalist to write about his product. He needs to earn the writer’s interest and credibility in order to achieve that. Yet, one can pay for downloads using paid media. This is why earned media is the purest and hardest to obtain type of media. So what does work to measure PR? The central metrics we utilize, in no particular order, are total mentions, social amplification, ad equivalency value, sentiment, and publications with the highest readership. These do a better job in measuring the real value of PR because they show the overall potential of the story – both from an audience perspective as well as a publication perspective. Additionally, because stories exist on the web (essentially forever), they continue to serve as beacons of publicity that will cast a positive light over a company for its lifetime. How do you measure the lifetime value of a New York Times article with Google Analytics? To measure the factors mentioned above, you can use analytics software like TrendKite or Cision. But the numbers can only tell one part of the story. PR helps build the overall image of a brand, so when you Google a company’s name, the importance of the results is in the types of publications that write about the brand and what they say about it, rather than the number that feature it. A brand that receives positive media attention will always appear to be more valuable than a company that spends a fortune on advertising or paid posts. The more prestigious publications write about your brand, the more prestigious your brand becomes. Google Analytics can tell you exactly how effective an ad spend is, but it can’t measure the emotional appeal and trust generated by a glowing review from a trusted writer. Nor can it measure the value that one big business development opportunity could bring you as a result of seeing your brand featured on a prestigious publication. Many people will say that numbers don’t lie, and I agree. But that doesn’t mean that the cold, hard numbers from Google Analytics tell the whole story. Measuring traffic is important for understanding the impact of several different kinds of promotional and marketing activities. PR, on the other hand, creates opportunities in ways that are difficult to measure with these tools. It opens doors, it forges connections and creates mindshare amongst your target audience. Can Google Analytics tell you if a potential partner or investor read your story? Can it tell you how many potential customers read a review of your app before they decided to download it? One of the most important aspects of being a PR professional is having an open and clear line of communication with clients. It’s important to effectively communicate the success of our work and make sure that expectations are set accordingly.